Designed for exploration, Discovery Externships are a career development alternative to a traditional internship. Each externship, while still including planning (before) and reflecting (after), occurs over a shorter amount of time (1-2 weeks) than what is typically spent in an internship (6+ weeks). Most externship hosts are K alumni, from multiple generations. Externship hosts focus on developing a mentoring relationship, helping students understand how specific experiences at K will translate to a prospective career field. The design of Discovery Externships also encourages a look at work within the context of a bigger life, providing externs an extraordinary opportunity to connect with people who also experienced the K-Plan and are at various stages of their own careers. Discovery Externships range from one to two weeks in length depending on the host. During an externship, students may have opportunities for observation and access to other professionals in the field (comparative shadow experiences). Because of the shorter time-frame, it is not uncommon for students to fit both an externship and a separate paid job into their summers. Despite their short duration, Discovery Externships require a very serious commitment. Students should not treat this option as a "back-up plan" to other programs or opportunities. Students may only participate in one externship per year, as marked by the first day of the fall term, and can only apply for two opportunities at one time. Once a student agrees to an opportunity they must decline all other Discovery Externship opportunities until the start of the next academic year. The benefits of participating in the Discovery Externship program are many. Externs get a "taste of an industry" early in their time at K, before moving toward choosing a career path. They have the opportunity to observe the day-to-day lifestyle of someone in a specific field, both on the job and outside of work. 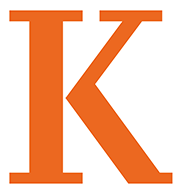 Furthermore, externs acquire what could prove to be a valuable connection and reference for the future, as well a source of advice—all by working (and often living) with a Kalamazoo College alum.